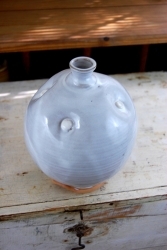 This white quartz dimpled bottle is so subtle and beautifully organic. 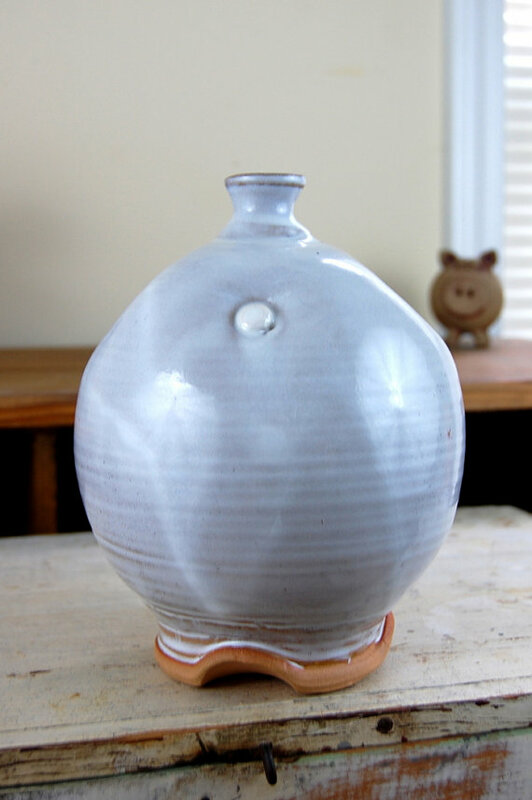 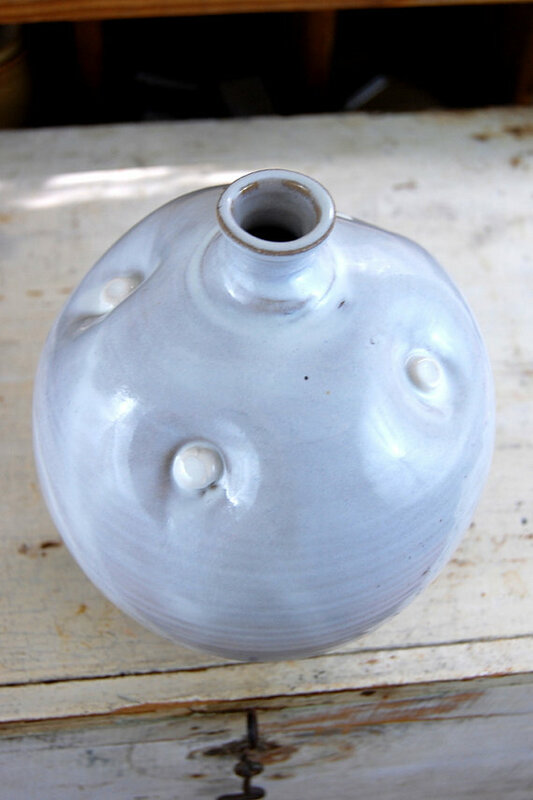 This 8" handmade pottery bottle was wheel thrown from a stoneware clay. 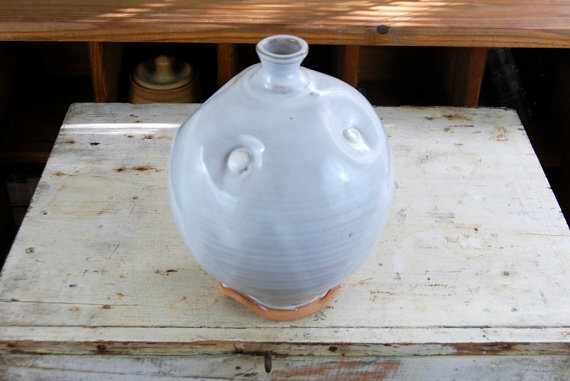 Then little balls of porcelain were pressed into the still wet clay, making dimples. 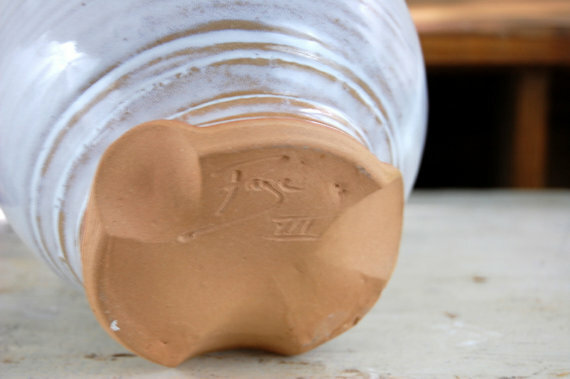 I love the dimples show how this bottle was once soft and pliable. 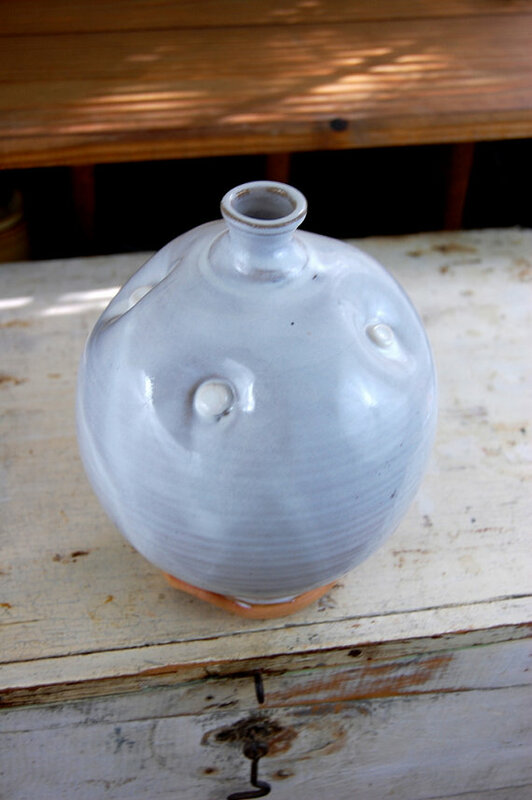 This one of a kind ceramic art piece will be sure to brighten any room and anyone around it.